How do you want to experience yourself? Let that one marinate over you for a second. 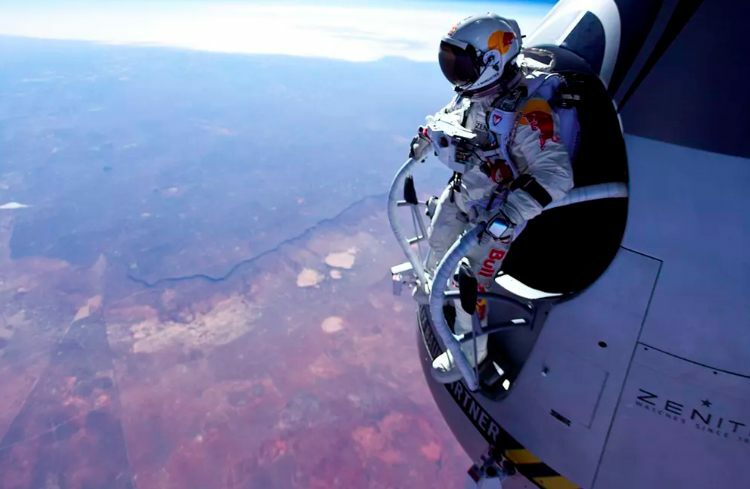 That is what psychologist Dr. Gervais asked Felix Baumgartner to answer for himself through the final few months of the 5-year journey in jumping from a balloon from the edge of space. Remember that red bull guy that broke the sound barrier hurtling through space faster than a speeding bullet? That guy. He was having doubts that he could do this, that he could survive. Obviously. He needed to change the relationship between how he was experiencing himself. Simmer on the question. Answer if for yourself. Watch the 30 min episode….and redefine your personal narrative.